San Diego Chef and restaurateur, Matt Gordon, will open his first new concept early this summer in Del Mar. 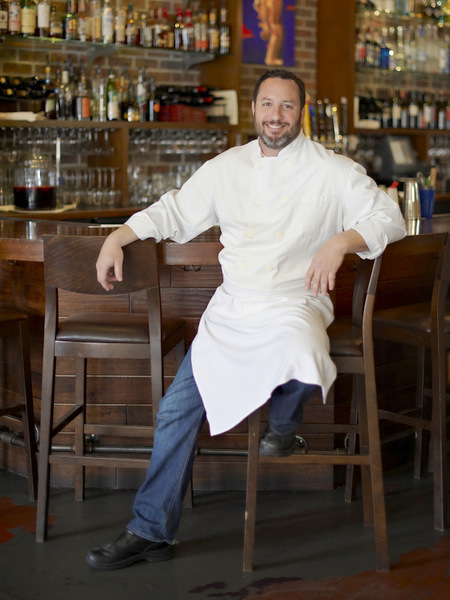 Creator of Urban Solace in North Park and Solace & The Moonlight Lounge in Encinitas, Gordon will introduce his third restaurant - Sea & Smoke, An American Brasserie. Best known for his American comfort foods, served with health and sustainable ethics in mind, Gordon will explore the flavors of the wood-fired oven, a central feature of the space, with a modern interpretation of an American menu. Offering breakfast, lunch and dinner, Gordon will introduce new spins on familiar dishes that pair simplicity with bold flavor. Keeping true to his principles, Sea & Smoke will serve tasteful foods made with zero artificial ingredients. Sea & Smoke’s menu will include an a la carte selection of roasted meats, seafood and vegetables with a “for one or for the table” approach. 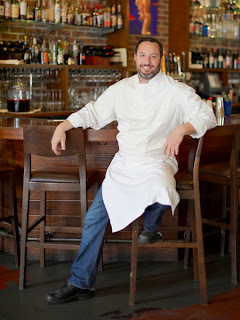 Chef Matt’s California Wine Country roots inspire the menu. His true style of cooking encompasses quality meats and seafood and unusual preparations of familiar vegetables. Dishes such as Charred Octopus with Avocado, Pepita and Guajillo Salsa and sides including Sweet and Sour Heirloom Carrots will incorporate universal flavors that have become common in American cuisine. In addition to meats and fish like Elysian Farms Lamb Leg Chimichurri and Diver Scallops Baked in Shells with Oil Cured Black Olive Crust, the Sea & Smoke menu will offer a broad selection of vegetarian dishes like Carrot Confit with Multi Grain Risotto, Red Wine Reduction, Pickled Tangerine and Cress. Occupying the former Paradise Grille space in the Flower Hill Mall in Del Mar, Sea & Smoke will be comprised of 7,500 square feet including a dining room, sunken bar and sprawling patio space. Designed by Bells & Whistles Design Firm, guests will face the wood-fired oven upon entering, then choose to dine in the light and airy brasserie-inspired dining room, or the downstairs bar and outdoor lounge. Sea & Smoke’s warmly lit, low-ceiling bar will create a classic 1950’s ambiance. The bar will connect to a spectacular outdoor lounge space and will be open early morning until bar close. Drinks will be food-friendly, modern twists of classic American cocktails with many made of small batch American spirits. Sea & Smoke, An American Brasserie will open in early summer for breakfast, lunch and dinner from approximately 7:30 a.m. to midnight, seven days a week. Follow the construction, design and opening on Twitter at @seaandsmoke.